At Retreat at Mesa Hills, we have the most spacious floorplans in El Paso! Our mission is to make home synonymous with luxury. Our charming apartment community in El Paso features newly renovated modern apartments that include stainless steel appliances, designer cabinets, and marble-style countertops. Plus, our El Paso apartment complex features resort-style amenities and a central location to make living feel like luxury. Moreover, there are Private and Charter schools nearby making this the perfect choice for parents and students. No matter what your lifestyle, our world-class amenities provide something for everyone! In real estate, they say location is everything – and Retreat at Mesa Hills is hard to beat. Located on the prestigious Westside of El Paso, we are surrounded by the beautiful mountains, tranquil neighborhoods, and within walking distance from the best restaurants, shopping, and entertainment in El Paso. Our community is also minutes away from the Resler Canyon giving our residents convenient access to the beautiful outdoors of El Paso. No matter what your lifestyle, you'll love living at Retreat at Mesa Hills. With renovated apartments, luxury amenities, and a location that can't be beat, Retreat at Mesa Hills is the best way to find your dream apartment. Call us at (915) 209-3206 to schedule a tour to view one of our 1 or 2 bedroom apartments or apply online today to find your new dream home. 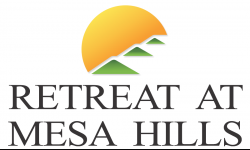 We can't wait to hear from you and we look forward in helping you make The Retreat at Mesa Hills your new home!